They call out your name when they can't see you. If you go away for even a little bit they ask repeatedly where are you, when are you coming back? The person living with Alzheimer's or a related dementia cannot live without you. Without you they become confused, worried, and experience an enormous amount of angst. You are their connection to the world. Without you they become lost. The person living with dementia bonds to you. It is emotionally painful for a person living with dementia to be "without you". Persons living with dementia have an enormous amount of emotional super glue. Are you willing to accept this? Regardless of circumstance, the person living with Alzheimer's becomes psychologically and emotionally attached to the Alzheimer's caregiver. 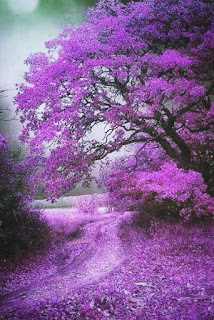 The Alzheimer's caregiver becomes attached to the person living with Alzheimer's. This bond is so strong it is difficult to describe in words. The bond that holds you together rises to a level that is so powerful, so all encompassing that it can only be described in this way - you are bonded by emotional super glue. I took care of my mom, Dotty, for eight and a half years, 3112 days. I know what it feels like to be a caregiver. I know and understand how you feel. I was you. My mother, Dotty, couldn't stand to be without me. But that was only one side of the coin. As it turned out, I couldn't stand to be without her. We became attached by emotional super glue. She needed me. I took my mom on dates, I took her all the way to Georgia with me so I could watch the NCAA tennis tournament for five days. I found a way to do it. I accepted that this was necessary. I began to think of my mother and me as two magnets. Every magnet has two fields -- a north pole and a south pole. If you put the two north poles together (or south poles) the two magnets will repel each other. If you put the two opposite poles of a magnet together they will attract to each other. They will stick together like glue. In the beginning I resisted the emotional super glue. I refused to accept that things had changed. Instead of changing I treated my mother the way I had before she was diagnosed with Alzheimer's disease. It did not work. In fact, it made things worse. I finally learned to adjust. I finally learned to accept that my mom's brain was operating in a new place - Alzheimer's World. I finally decided that I had to go in. Go into to her world. Once I did I found that she was kind. I found that simple activities made her feel happy. Article - I found my mom and got her back in Alzheimer's World. In a sense she was always there. But it seemed to me, like it does to most caregivers that she was gone - gone forever. My mistake. I made it all about me. My own selfish feelings: making it all about me, and my unwillingness to accept her the way she was. It was mostly about my closed mind. It took a while to understand. To understand that my mom was capable of more than I could ever imagine. We began to live our lives one day at a time. We adopted a strict routine that made it easier for my mom to operate in the real world. This emotional attachment is a result of the day in and day out acts of caring. A bond is formed. 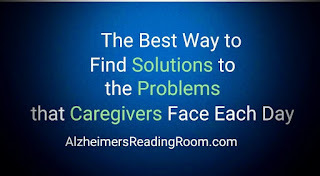 It really doesn't matter what your relationship was like with the Alzheimer's patient before you started caring. You are going to get glued. Emotional super glue. This helps explain in part why all of your emotions are heightened while caring. You begin to feel. It's the emotional super glue that makes the difference. This in part explains the how and the why of what your are doing as a caregiver. It also explains why others cannot understand how or why you do it. Emotional superglue is as powerful as it can get. Emotional super glue is very powerful when channeled in a real and purposeful way. If you open up heart and mind and accept the glue you will soon undergo a metamorphosis. All those negative and nasty feelings will begin to melt away. They will at first be replaced by enormous love. A kind of love that can only be experiences by those of us who genuinely care. And then it gets better. Sooner or later you start to experience Joy. You might not notice it a first. I didn't. But then I started getting this feeling in my chest. It felt like my heart was getting bigger and stronger. I could feel it. Going to make a point to do this with my Mom who’s been living with me AND on Hospice since March 2013, YES! On Hospice since 2013. My mom would call my cell phone at work and beg me to come home... multiple times a day. It made my heart ache. My husband who never met a stranger actually had an anxiety attack today at Wal-Mart because there was people everywhere. He stayed agitated and confused over everything until we got home. This is new. Usually mornings are only bad but now it's progressing. This is so true. We had my mother-in-law for a few hours. She was fine, but when my father-in-law came to pick her up, she said to him, "oh there you are...I wondered where you had gotten to." She is in the later stages, but he is still her anchor. This is so true. I'm his go to person, when I'm out of sight he's asking, where are you, I was worried, where did you go.? This is every time I leave the room. So true! Praying for a cure.